freshest flowers. greatest selection. same day delivery. Springtime is here! Whether you’re ready for the snow to hibernate until next winter or just can’t wait for new flowers to start blooming, spring is the perfect time of year to focus on new beginnings with Find a Florist. Next thing you know you’ll be getting dressed up to head to those dazzling spring weddings. This is your chance to show you’re in the know with the most remarkable spring bouquets for the bride and groom. Don’t be caught empty-handed. Instead come ready with alluring clusters of pastel roses and richly colored tulips. Easter comes later in April this year, with all of its wishes for rebirth and new beginnings. Celebrate with the freshness of daisies, carnations, and tulips accented with lavender and pink ribbons. With all the cheery pastels, you’ll be sure to feel the holiday spirit and encourage the Easter Bunny to leave you lots of yummy treats. And if you’re thinking he won’t leave you enough chocolate, FindaFlorist has you covered with special occasion baskets filled with treats to delight the entire family. Easter is on April 21st. Don’t forget about those lovely people that keep your office running smoothly. Administrative Professionals’ Day, also known as Secretaries Day, is quickly approaching. Show you appreciation for all the little things they do to make your life that much easier while you’re in the office. With a classic bouquet or even a basket of goodies, you’re sure to put a smile on their faces! Administrative Professionals’ Day is on April 24th. Last minute flower delivery? No problem! All florists that are affiliated with Find a Florist provide reliable delivery as well as same day service; just call or place your online order by 2 pm (in most areas) for local floral delivery service in any city throughout the US or Canada. 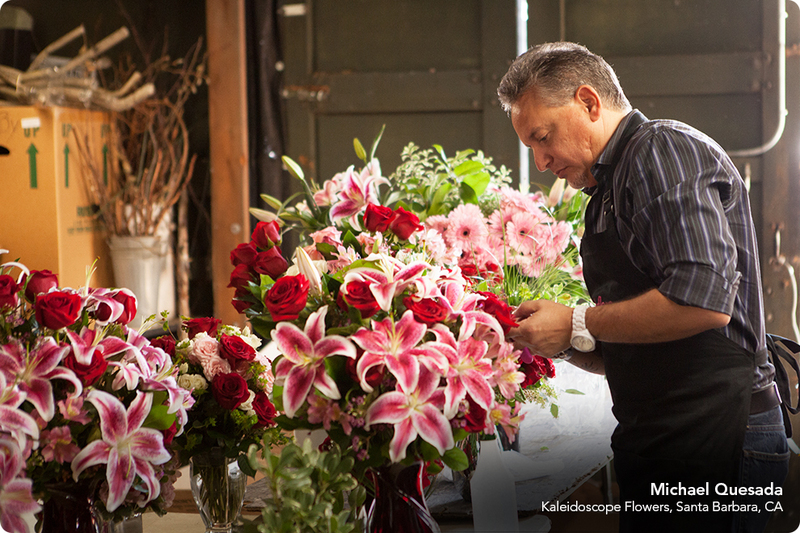 With Find a Florist, ordering flowers for friends and family is easy and fun. Whether you need to say Happy Anniversary, Happy Birthday, or just want to send a smile, do it with Find a Florist, the best online florist directory available.